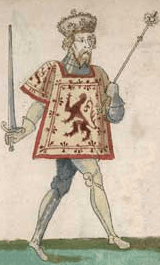 Robert II (2 March 1316 – 19 April 1390) reigned as King of Scots from 1371 to his death as the first monarch of the House of Stewart. He was the son of Walter Stewart, 6th High Steward of Scotland and of Marjorie Bruce, daughter of Robert the Bruce and of his first wife Isabella of Mar. Edward Bruce was named heir to the throne but he died without legitimate children on 3 December 1318 in a battle near Dundalk in Ireland. Marjorie by this time had died in a riding accident - probably in 1317. Parliament decreed her infant son, Robert Stewart, as heir presumptive, but this lapsed on 5 March 1324 on the birth of a son, David, to King Robert and his second wife, Elizabeth de Burgh. Robert Stewart inherited the title of High Steward of Scotland on his father's death on 9 April 1326, and a Parliament held in July 1326 confirmed the young Steward as heir should Prince David die without a successor. In 1329 King Robert I died and the six-year-old David succeeded to the throne with Sir Thomas Randolph, Earl of Moray appointed Guardian of Scotland. Edward Balliol, son of King John Balliol, assisted by the English and Scottish nobles disinherited by Robert I, invaded Scotland inflicting heavy defeats on the Bruce party on 11 August 1332 at Dupplin Moor and Halidon Hill on 19 July 1333. Robert fought at Halidon, where his uncle and former guardian, Sir James Stewart, was killed. Following this battle, Robert's lands in the west were given by Balliol to his supporter David Strathbogie, the titular Earl of Atholl. 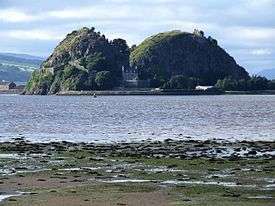 Robert took refuge in the fortress of Dumbarton Castle in the Clyde estuary to join his uncle, King David. In May 1334 David escaped to France leaving Robert and John Randolph, 3rd Earl of Moray as joint Guardians of the kingdom. Robert succeeded in regaining his lands but following Randolph's capture by the English in July 1335, his possessions were once again targeted by the forces of Balliol and King Edward III of England. This may have persuaded Robert to submit to Balliol and the English king and may explain his removal as Guardian by September 1335. 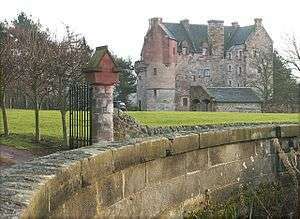 The Guardianship transferred to Sir Andrew Murray of Bothwell but following his death in 1338 Robert was re-appointed and retained the office until King David returned from France in June 1341. Robert accompanied David into battle at Neville's Cross on 17 October 1346 but he and Patrick Dunbar, Earl of March escaped or fled the field and David was taken prisoner. In October 1357, the king was ransomed for 100,000 marks to be paid in installments over ten years. Robert married Elizabeth Mure around 1348, legitimising his four sons and five daughters. His subsequent marriage to Euphemia de Ross in 1355 produced two sons and two surviving daughters and provided the basis of a future dispute regarding the line of succession. Robert joined a rebellion against David in 1363 but submitted to him following a threat to his right of succession. In 1364, David presented a proposal to Parliament that would cancel the remaining ransom debt if it was agreed that a Plantagenet heir would inherit the Scottish throne should he die without issue. This was rejected and Robert succeeded to the throne at the age of 55 following David's unexpected death in 1371. England still controlled large sectors in the Lothians and in the border country so King Robert allowed his southern earls to engage in actions in the English zones to regain their territories, halted trade with England and renewed treaties with France. By 1384, the Scots had re-taken most of the occupied lands, but following the commencement of Anglo-French peace talks, Robert was reluctant to commit Scotland to all-out war and obtained Scotland's inclusion in the peace treaty. Robert's peace strategy was a factor in the virtual coup in 1384 when he lost control of the country, first to his eldest son, John, Earl of Carrick, afterwards King Robert III, and then from 1388 to John's younger brother, Robert, Earl of Fife, afterwards the first Duke of Albany. 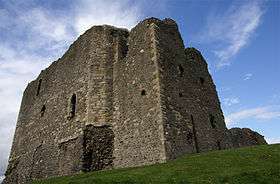 Robert II died in Dundonald Castle in 1390 and was buried at Scone Abbey. The Stewarts greatly increased their holdings in the west, in Atholl, and in the far north: the earldoms of Fife and Menteith went to Robert II's second surviving son Robert, the earldoms of Buchan and Ross (along with the lordship of Badenoch) to his fourth son Alexander and the earldoms of Strathearn and Caithness to the eldest son of his second marriage, David. Importantly, King Robert's sons-in-law were John MacDonald, Lord of the Isles, John Dunbar, Earl of Moray and James who would become the 2nd Earl of Douglas. Robert's sons, John, Earl of Carrick, the king's heir, and Robert, Earl of Fife, were made keepers of the castles of Edinburgh and Stirling respectively, while Alexander, Lord of Badenoch and Ross, and afterwards Earl of Buchan, became the king's Justiciar and lieutenant in the north of the Kingdom. This build-up of the Stewart family power did not appear to cause resentment among the senior magnates—the king generally did not threaten their territories or local rule and where titles were transferred to his sons the individuals affected were usually very well rewarded. This style of kingship was very different from his predecessor's—David tried to dominate his nobles whereas Robert's strategy was to delegate authority to his powerful sons and earls and this generally worked for the first decade of his reign. Robert II was to have influence over eight of the fifteen earldoms either through his sons directly or by strategic marriages of his daughters to powerful lords. The reign of Robert II has undergone a re-appraisal since the works of historians Gordon Donaldson (1967) and Ranald Nicholson (1974). Donaldson admits to a paucity of knowledge (at the time that he was writing) regarding Robert's reign and accepts that the early chroniclers writing near to his reign found little to criticise. Robert's career before and after he succeeded to the throne is described by Donaldson as "to say the least, undistinguished, and his reign did nothing to add lustre to it." Donaldson goes further and debates the legality of the canon law marriage of Robert and Elizabeth Mure following the papal dispensation, but acknowledges that the Acts of Succession in 1371 and 1372, although sealing the matter in the eyes of Parliament, did not end the generational feud of the descendants of Elizabeth Mure and of Euphemia Ross. Robert's earlier participation in combat at the battles of Halidon and Neville's Cross, according to Donaldson, had made him wary of sanctioning military expeditions against the English and that any such actions by his barons were concealed from him. Similarly, Nicholson described Robert's reign as deficient and that his lack of the skills of governance led to internal strife. 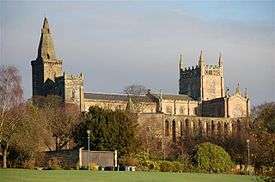 Nicholson asserts that the Earl of Douglas was bought off following his armed demonstration just before Robert's coronation, and associates this with the doubt surrounding the legitimacy of Robert's sons with Elizabeth Mure. Michael Lynch points out that Robert II's reign from 1371 until the lieutenancy of Carrick in 1384 had been one exemplified by continued prosperity and stability - a time which Abbot Bower described as a period of "tranquility, prosperity and peace". Lynch suggests that the troubles of the 1450s between James II and the Douglases (which some historians have interpreted as the legacy of Robert II's policy of encouraging powerful lordships), was in fact a continuation of David II's build-up of local lords in the Marches and Galloway—Robert was satisfied with government to leave alone the Douglas and the Stewart earls in their fiefdoms. The weakening of government if anything, Lynch suggests, came not before the 1384 coup but after it, despite the fact that the coup had at its root Robert II's favouring of his third son, Alexander Stewart, Earl of Buchan (known as the Wolf of Badenoch). ↑ 'The disinherited' - those nobles or their descendants who had fought for the English but had not entered into Robert I's peace and had their property confiscated and distributed to the Bruce supporters. 1 2 Weir, Alison. Britain's Royal Families: The Complete Genealogy. Random House. p. 228. ISBN 9781446449110. ↑ Douglas, Robert (1764). The Peerage of Scotland. ↑ John P. Ravilious, ‘ "Nephew of the Duke": the Danielstons of that Ilk, and a hitherto unknown daughter of Robert II, King of Scots,’ The Scottish Genealogist, Vol. LIV, No. 3, September 2007, pp. 134-137. Cf. also John P. Ravilious, ‘Maria Stewart, illegitimate daughter of Robert II, King of Scots’ The Scottish Genealogist, Vol. LVI, No. 1, March 2009, pp. 29-30.